I just recently retired after 43 years of public safety service, most recently as the Director of the San Mateo County Forensic Laboratory. Prior to my service with the Sheriff's Office, I served as the Police Chief for the City of San Carlos for 7 years, and 28 years with the Redwood City Police Department. My love of Track & Field goes back to my high school days, when I attended San Carlos High School. After high school, I ran for the College of San Mateo for 2 years before transferring to San Jose State University. I attended San Jose State where I received my undergraduate degree. I also attended College of Notre Dame where I received my graduate degree. I have 5 grandchildren, and we are expecting our 6th in April 2011. 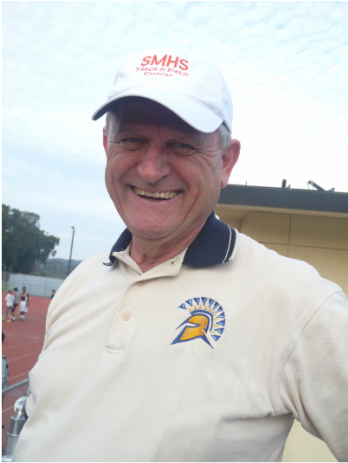 I look forward to the opportunity to work with the other coaches, and the athletes of San Mateo High School. I will be focusing on High Jump, Long Jump, and Triple Jump this season.